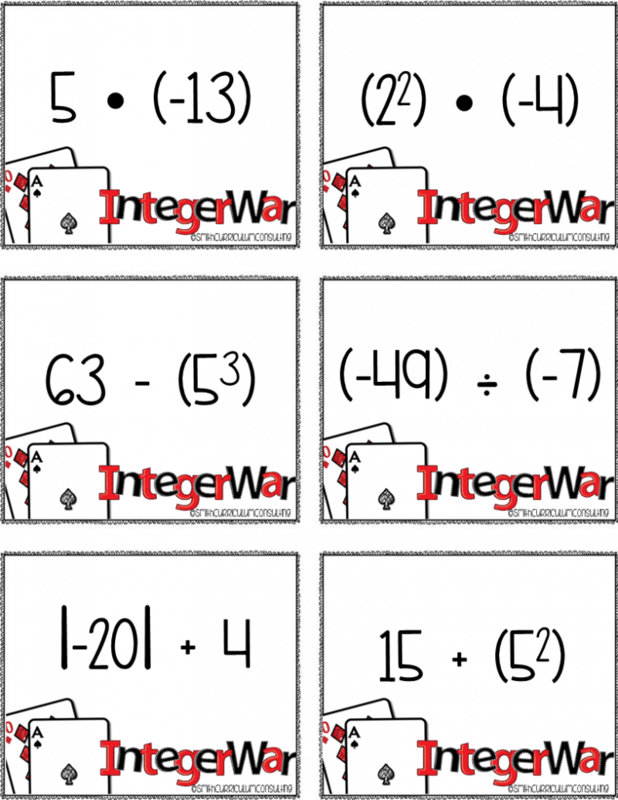 Each year working with integers proves to be a difficult concept for many students. 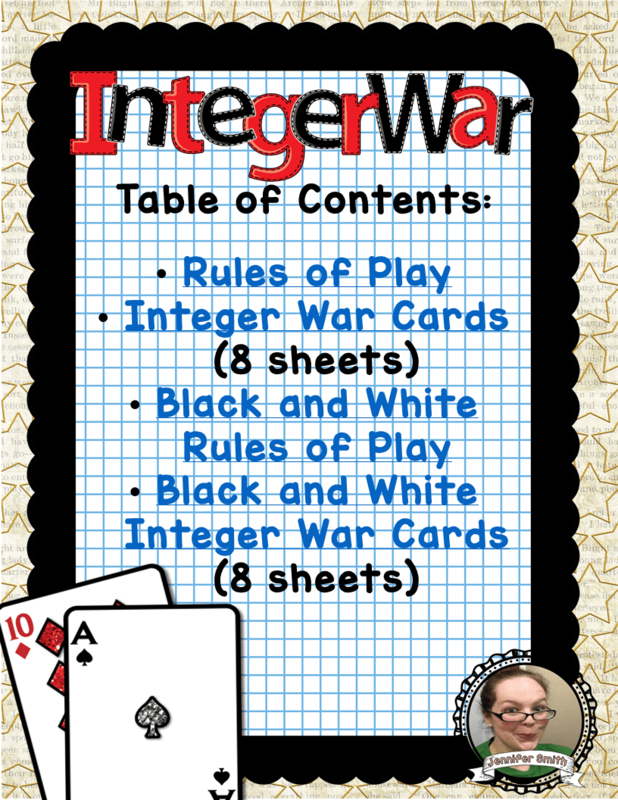 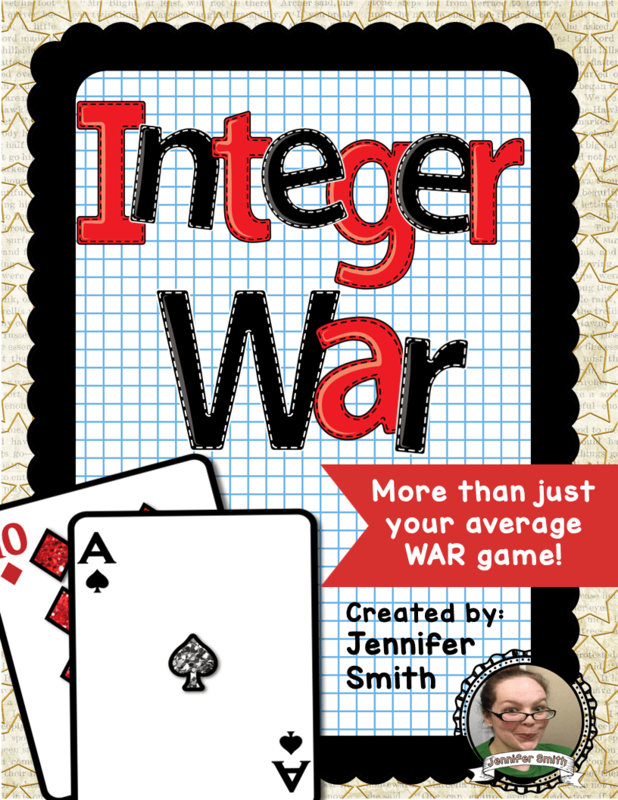 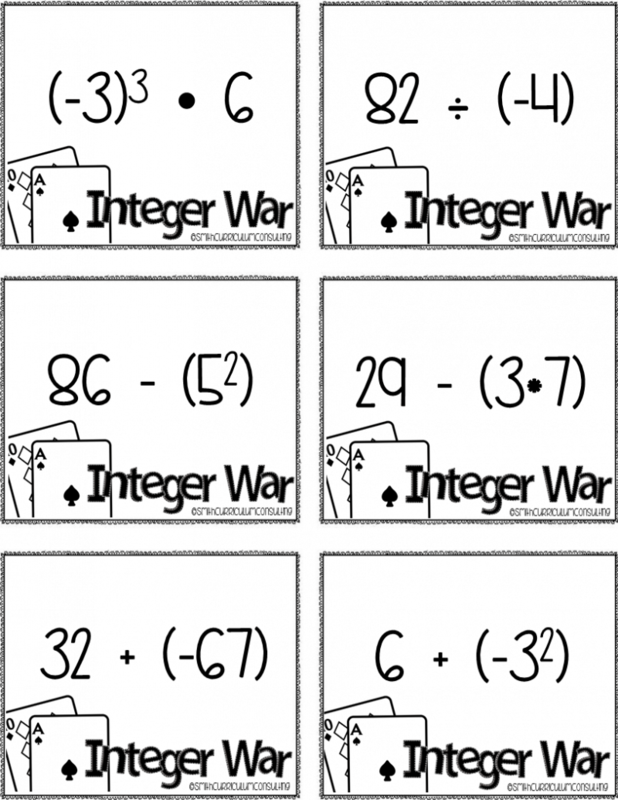 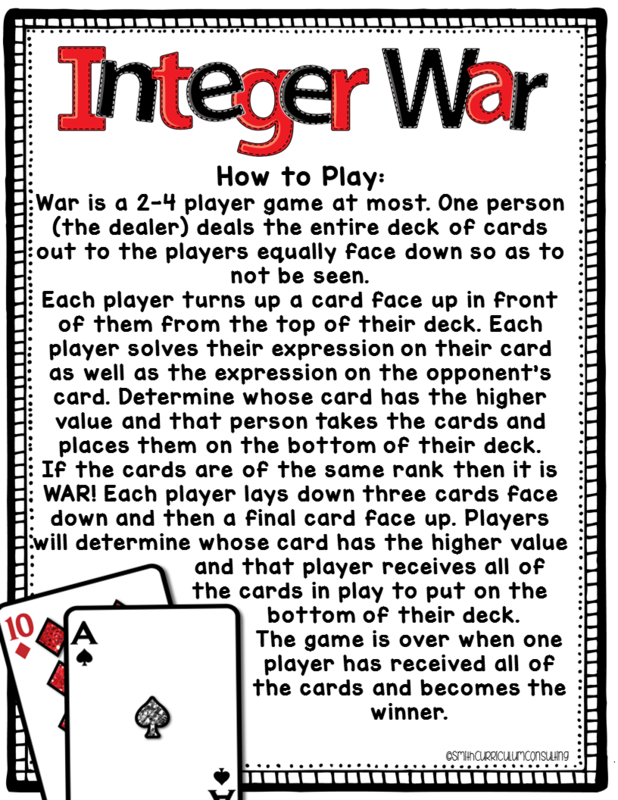 Pairing an interactive game that students know how to play (like War) with a way of competing to evaluate expressions with integers using all operations (including exponents, negative numbers and absolute value) will prove to be a FUN activity in your classroom! Aligned to Common Core State Standards (CCSS), Texas Essential Knowledge and Skills (TEKS) and Oklahoma Academic Standards (OAS) for 6th, 7th and 8th grades. 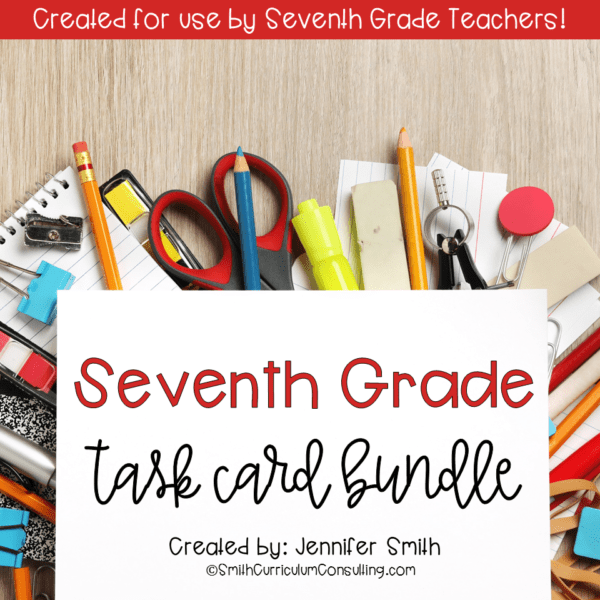 This activity is included in my 6th, 7th, and 8th Grade Task Card bundles.